The 2015 BMW 3 Series carries on with its tradition of being one of the best sport luxury cars on the planet, albeit at a price. 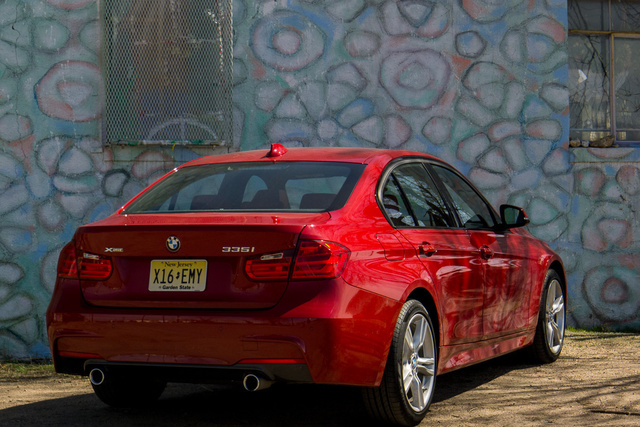 Now purely a sedan, the 2015 BMW 3 Series has the unenviable task of living up to its own name. The tight, precise chassis that created its own legend is still there (although it takes some effort to bring it out), and the wonderfully powerful engine to wring it all out is still there (although it takes some deep pockets to purchase). The ultra-competitive segment has changed since the 3 Series dominated the market, and it's hard to say if BMW has kept up with the pace. Few cars have a tougher name to live up to than the BMW 3 Series. The iconic badge has decades of German excellence; decades of creating, and then dominating, entry-level luxury; and decades of purists scrutinizing every square inch of the car. You couldn’t do worse if you named your newborn son Michael Jordan. Thus, the 2015 BMW 3 Series has a tough hill to climb out of the gate. Thankfully, the 3 Series does itself a huge favor first by looking great. Thankfully, standard on every 3 Series is the same poised sedan silhouette from top to bottom. The car’s athletic stance and raised rear haunches are all there, finished with a Hofmeister kink at the rear doors. 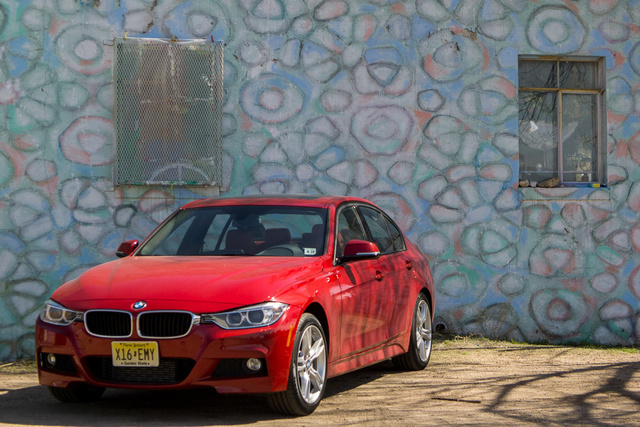 For the second year, the 3 Series doesn’t need to be anything but a sedan. Last year, BMW split the 3 Series coupe off into its own 4 Series, and the two cars have drifted slightly apart despite having the same 110.6-inch wheelbase. The 2015 model hasn’t added much beyond last year. This year’s improvements include minor interior changes—no more cupholder lid to immediately remove and a few new swatches of leather to choose from depending on the package selected. For such a specific sedan, there are a plethora of available flavors. Three different body styles (sedan, wagon, and the taller Gran Turismo, which is covered separately), three different engines (2.0-liter turbo, 3.0-liter turbo, and 2.0-liter turbodiesel) and two different powertrains (all-wheel drive and rear-wheel drive). Automatic transmissions are available in all versions, and manual transmissions are available in all rear-wheel-drive (RWD) gas-powered models and the all-wheel-drive (AWD) 335. Available interior equipment widely ranges from basic to leather, M-badged equipment such as door sills and steering wheels, navigation and connectivity options, heated front seats, and parking assistance. Exterior options range as well from carbon fiber spoilers and splitters to 18- and 19-inch alloy wheels and decals. An upgraded 8-speed automatic sport transmission can also be added to several versions as well. BMW has distilled the available options into three categories—Sport, Modern, and M-Sport—although you’d be hard-pressed to distinguish the packages from each other except in their bottom lines. At its heart, the sport compact sedan has been built around its lively engine and superb chassis. 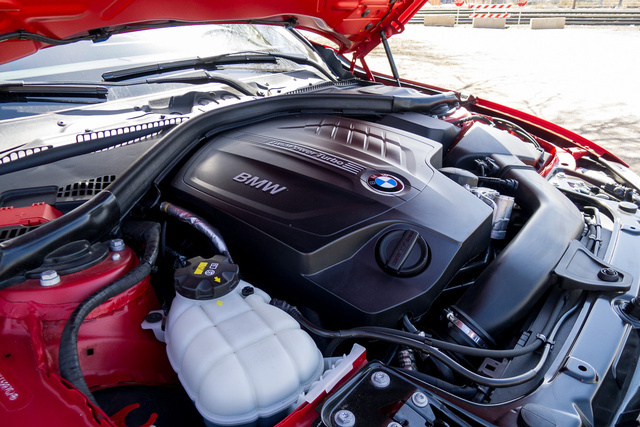 This year, the 3 Series packs three different engines that vary widely in performance and fuel economy. The 320 and 328 models feature a 2.0-liter turbocharged 4-cylinder. The 320 produces 180 hp and 200 lb-ft of torque. The 328 trims increase boost to produce 240 hp and 255 lb-ft of torque. At full throat, the 335 packs a 3.0-liter, turbocharged 6-cylinder that makes 300 hp and 300 lb-ft of torque. The outlier, a 2.0-liter turbodiesel 4, makes 181 hp and 280 lb-ft of torque. Considering the engine and transmission’s range of options, fuel economy varies greatly among all the trims. At the high end, the smallest engine paired with an 8-speed automatic transmission manages 24 mpg city/36 highway/28 combined, according to the EPA. The thirstiest 6-cylinder paired with a manual transmission can produce 20/28/23, while the diesel makes 32/45/37. Adding X Drive, BMW’s all-wheel-drive system, knocks mileage down roughly 5 percent across all models. Thus, driving a new 3 Series can be a wholly different experience depending on what’s underneath the hood. The 320 can feel underpowered in parts, asking the engine to keep up with your right foot in highway passing. The 335 can feel like a rocket waiting for liftoff, with plenty of pedal underfoot waiting for your courage and hands to keep pace. The diesel, although mostly overlooked, is among the best for a segment like this. Its torquey, potent punch can overcome any reservations that it might be lacking in overall horsepower, although the price premium ($6,000 more than the base model) scares away plenty of buyers. In 320 spec, the sedan relies too heavily on its chassis to make up for its engine. The turbocharged mill strains at high altitude and isn’t a convincing substitute for the inline 6 it replaced. The 328 is discernibly better, benefitting from a 60-hp bump, and could be the ideal balance for plenty of buyers looking at the 3 Series. Our test car, a 335xi was the full boat—turbo 6, AWD, and adaptive suspension—and felt glorious on the road. Even with the optional 8-speed automatic transmission, the engine never felt hamstrung or searching. Purists may opt for a row-your-own 6-speed transmission, but that would mostly preclude BMW’s outstanding AWD system, and performance data shows it’s really a wash anyway. Every input—via steering wheel, brake, or throttle—was immediately rewarded with a precise response from the car. BMW’s tallest task is to improve on a car that, for many people, was the pinnacle of luxury compact cars for many years—no easy feat. And in many ways, the 3 Series can’t be legendary. The real world has caught up with the 3 Series, and electric steering assist, crash ratings, and reliability requirements have changed how the car can be constructed. The existence of smaller cars in BMW’s fleet means the 3 Series has grown in its waist and taste, so well-heeled buyers are almost necessary now. What hasn’t changed is the superb, tight chassis underneath that’s waiting to show itself. Few cars on the road provide as much response and direct feeling as an optioned-to-the-ceiling 3 Series does; stamp on the throttle and find your nearest wet-spaghetti-shaped road and see what I mean. There is still magic somewhere between its 110.6-inch wheelbase for the right money. Unfortunately, as in the course of human nature, the 3 Series has traded too liberally on the credit built up by the chassis, and there are some areas of the car that are beginning to suffer lower in the range. 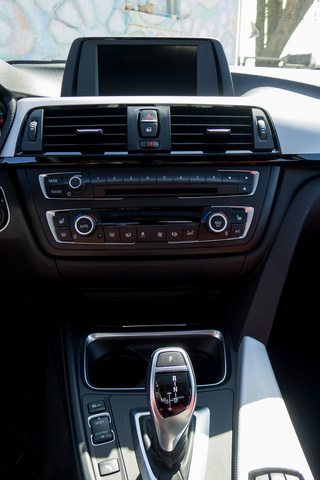 Notably, the interior of a base 3 Series isn’t necessarily the best place to be anymore. Unappealing plastic molding on the center console and dashboard, seats that may be a generation behind the competition, and a noticeable lack of steering feel all knock an entry-level 3 Series behind some of the newer competition, such as Mercedes Benz’s C-Class. The base infotainment screen has a black plastic bezel that’s far too big and reminds you that the one-size-fits-all hole can hold bigger, and its controls feel dollar-store thin. In short, it takes many thousands of dollars to bring out the best of the 3 Series right now. Thankfully, all isn’t lost. The 3 Series still sports a usable backseat, fairly comfortable seats, and a quiet cabin that come standard on every model. For many new BMW buyers, the following sentence may be a surprise: BMW’s 3 Series has never been a world-beater when it comes to interior tech. For the most part, BMW’s cars have been more about the driving experience than stuffing the cabin with up-to-the-minute technology. BMW’s infotainment system, dubbed ConnectedDrive, falls firmly in the middle of the compact luxury segment. The layout is fairly simple and straightforward, and its menus are clear and fairly direct despite being deep and overly granular in some cases. For instance, adding a telephone via Bluetooth doesn’t necessarily automatically add it for Bluetooth audio streaming, and only if that’s equipped for $500 more. And while the added Spotify features (playlist browsing and streaming) are nice for tethered phones, the same functionality isn’t there for Bluetooth. For an extra $3,150, buyers can upgrade to a navigation system, which includes a heads-up driver display and larger screen, but its rear-view camera is part of a different driver-assist package, which costs another $950. Satellite radio is part of a separate, driver-convenience package that runs $2,200. All told to max out the infotainment system, it’s a cool $6,300. Having said that, the handwriting-recognition touchpad control (added 2 years ago) allows drivers to draw the number they’re looking to dial and is genuinely helpful. A similar feature in Audi’s MMI system works just as well, but it’s better integrated into the BMW’s control scheme. Thankfully, while the navigation system may be a little behind, the driver’s information and instrument cluster look like classic BMW. The instantly recognizable dials are a welcome sight, and the uncluttered steering wheel still looks great. Like looking at an analog Timex watch, the interior layout and instrument numbers are unmistakable. For previous owners like me, that’s a comfortable feeling considering how much of the 3 Series is completely new. Our test car came shod with red and black Dakota leather that was comfortable and appropriately bolstered for blasting mountain roads for a few hours. An available cold weather package ($950) can add heated front and rear seats, a heated steering wheel, and headlight washers, and could actually be considered good value for money in a long list of add-ons that add up quickly. The trunk is surprisingly spacious considering the 3 Series’ size (17 cubic feet) and interior room. And this may be completely nerdy, but the cupholders are much better for this generation—the last generation had sliding collapsible holders that were a disaster and rattled—once you get rid of the needless cupholder cover. To BMW’s credit, the 3 Series has come a long way in safety and helped define what buyers should expect from a sport compact car. The 3 Series earned a 5-star overall rating from the National Highway Traffic Safety Administration for safety, including 5 stars in a side collision or rollover crash. The Insurance Institute for Highway Safety also bestowed high ratings on the 3 Series in all its crash tests, except for its notoriously hard small-overlap front crash, which earned a marginal rating. BMW also includes a slew of standard active and passive safety systems including antilock brakes, front and rear head protection systems, standard and supplemental airbags for driver and passenger, and emergency notification systems if a crash is detected. There are no optional safety systems for the 3 Series, but there are driver-assist packages available, such as blind-spot monitoring, rear- and top-view cameras, and Active Driving Assistant, which includes lane-departure warnings and adaptive cruise control at varying prices and packages. When the sixth-generation BMW debuted in 2012, J.D. Power heaped initial praise on the 3 Series for build quality, performance, and design. For 2015, those marks have tempered, and BMW is middle of the pack. According to ALG, the BMW 3 Series doesn’t hold on to its value like the Lexus IS and others, and Kelly Blue Book tabbed Lexus as best in class for resale as well. And that’s a tough pill to swallow for potential owners. Our test car, a 335xi with all the trimmings came in at $54,850, a price far beyond the entry-level luxury that the 3 Series came to define. The 3 Series starts at $32,950, or right around the average price paid for a new car in the U.S. today, and only goes up from there. But the entry-level moniker has now been relegated to the 1 and 2 Series cars from BMW, and that’s okay—both of those cars wear that badge well. The 3 Series has adopted a more midrange luxury market approach and feel; its suspension is a little softer, its punch in the lower ranges is a little more subdued. But knowing that the best 3 Series may now be the most expensive 3 Series may leave a group of buyers behind, and that’s a shame—because underneath it all is a superbly designed chassis just waiting to come out. What's your take on the 2015 BMW 3 Series? SportsMode The new 2015 335i is a joy to drive, at this price it is far more fun, better on gas and sexier than its Lexus rivals. Jonathan You absolutely nailed it on the interior. I'm not sure what happened here, but this is the worst interior BMW has made for a long time. It looks cheap and feels even cheaper. Users ranked 2015 BMW 3 Series against other cars which they drove/owned. Each ranking was based on 9 categories. Here is the summary of top rankings. 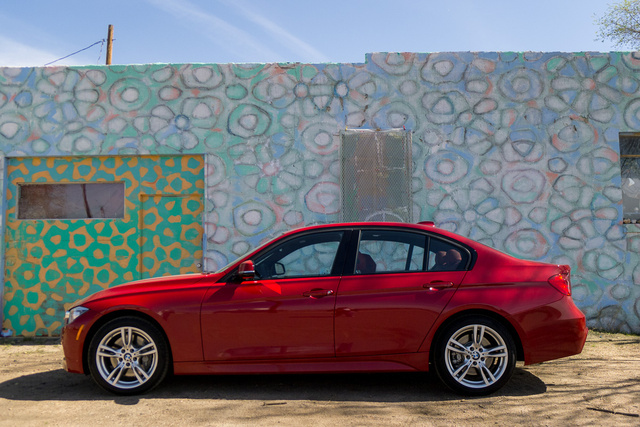 Have you driven a 2015 BMW 3 Series? I accidently put regular gas in my 2015 bmw 335i. Will it damage my engine until I run the fuel empty or should I cyphin the fuel out of the gas tanks? Can I purchase a car with just a permit? What dealership can I go to that allows just a permit to purchase a car?